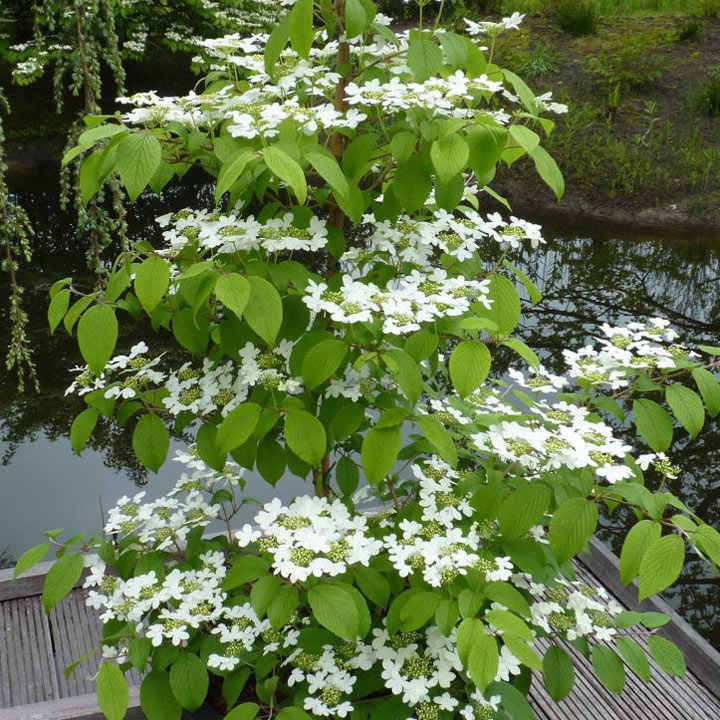 This stunner was crowned Plant of the Year at Chelsea in 2015. 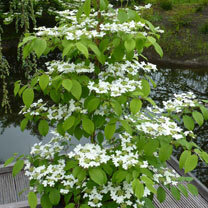 The elegant pure white lacecap flowers are produced in profusion all the way up this beautifully tiered plant. As summer progresses, the flowers take on a pink tinge. In Autumn the foliage turns to a lovely orange colour and red berries are formed which later turn black for an additional season of interest. Height 301cm+. Supplied in a 3 litre pot. Ideal for pots and containers. Grows well in sun or shade.